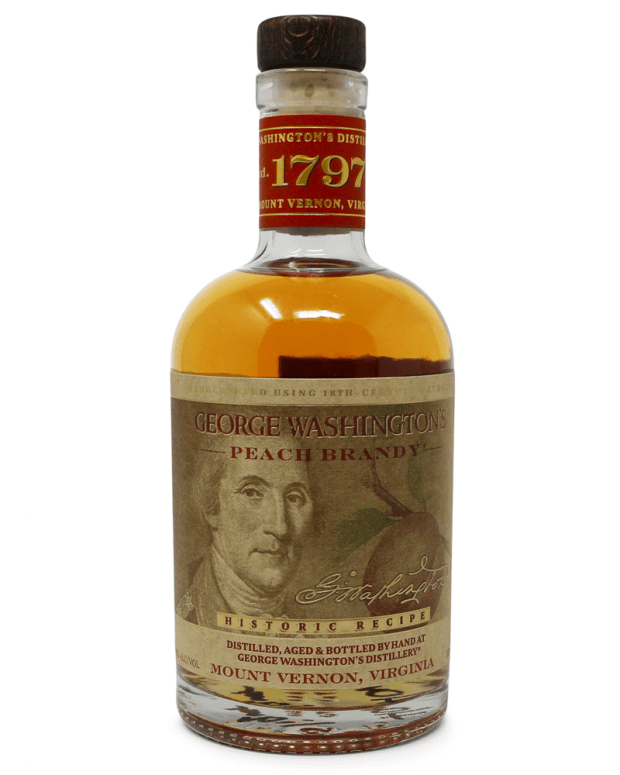 This special bottle of George Washington Peach Brandy™ is one of a limited number of bottles distilled at Washington’s reconstructed Distillery at Mount Vernon. Sign up for our notification list to be informed of new batch releases. After aging for eighteen months in used bourbon barrels at Mount Vernon, this brandy was bottled and labeled by hand. George Washington maintained orchards on his Estate and these orchards supplied the peaches needed to produce the brandy at the distillery. The distillery ledgers indicate that small amounts of peach brandy were produced in 1798 and 1799. A portion of the peach brandy was sold at market and the remainder was sent to the Mansion for use by the Washington family. Mount Vernon staff, working with craft distiller consultants, produced this brandy using traditional 18th-century methods. The brandy was double-distilled in copper pot stills heated by wood fires.